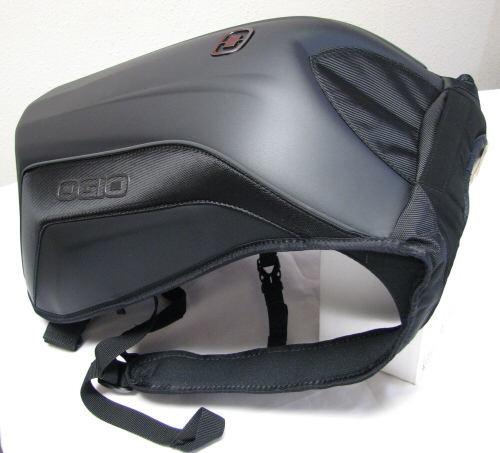 This Ogio backpack measures 19x13x8 inches and features a solar plexus cross strap for tightly securing the backpack to your body while riding, or doing any other activity. 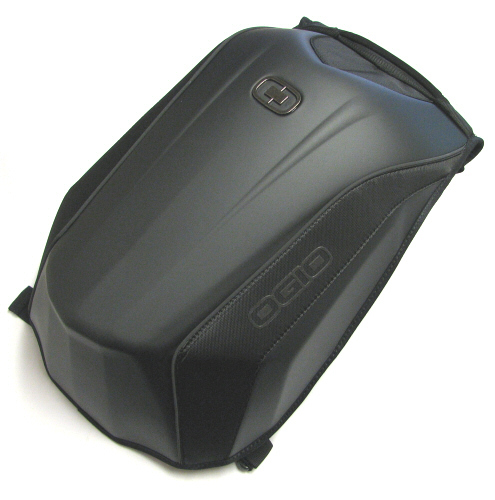 This bag is made from double layer nylon, and is "THE" riding backpack that put Ogio on the map. Zippers feature easy-to-grab nylon pull strings and all seams are double stitched and weather sealed. 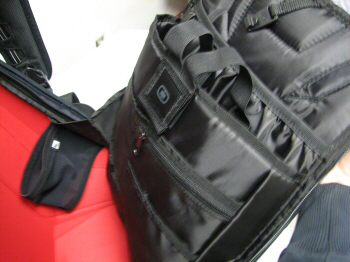 The backpack features one main compartment that opens from the inside to preserve the aerodynamic shape & unique "No Drag" qualities of this bag. 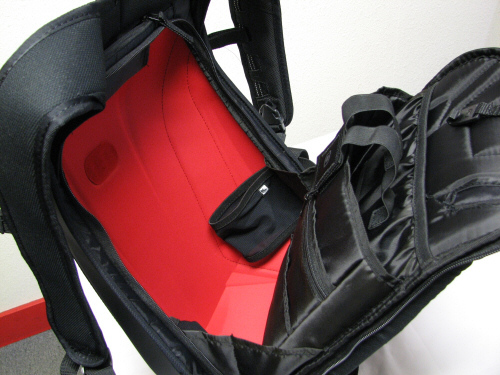 Outer shell is constructed from Ballistic Polyurethane (though it is not bulletproof) and the main storage compartment has many sleeves and pockets for storage of items including Ipads, or universal hydration packs.